Operation Lifesaver Inc. is a national, non-profit safety education group whose goal is to eliminate deaths and injuries at railroad crossings and along railroad rights-of-way. It has programs in all 50 states with trained and certified presenters who provide free safety talks to raise awareness around tracks and trains. Learn more at www.oli.org. Operation Lifesaver wanted to address the unique challenges in training drivers of all types of trucks in the procedures for safe rail crossings and to help them make sound decisions at railroad crossing. 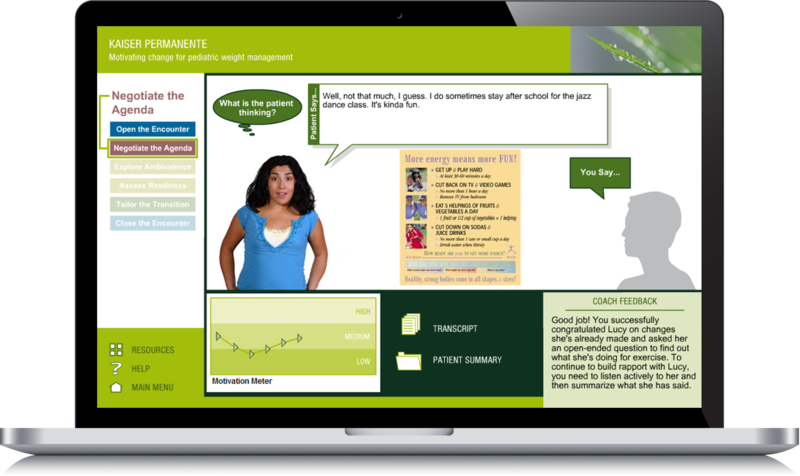 They wanted to maximize student access by building an appealing online learning experience because statistics show approximately one out of four railroad crossing crashes involves vehicles that require a Commercial Driver License (CDL) to operate; this includes all sizes of trucks from larger over-the-road vehicles, to your local delivery trucks. The solution for Operation Lifesaver consisted of multiple modalities including a promotional video trailer, the interactive e-learning course, a traffic signs gamelette, and an integrated marketing plan with various tactics. 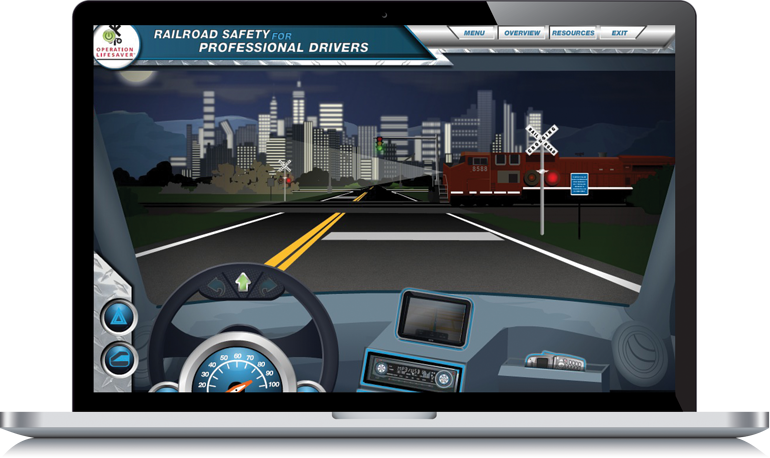 The e-learning simulation focuses on truck driver safety, providing a game-like driving environment allowing drivers to work independently, exposing them to worst-case scenarios that require quick thinking and critical decision-making. More than 15,000 truck drivers have taken the e-learning course. Allen Interactions has produced award-winning programs for our non-profit, which is fabulous—but the real “award” is that people are learning—our true goal. Vice President, Operation Lifesaver Inc. Looking for design inspiration? Check out our online demos!